After a season full of hard work and drive to make it to the state meet, the Grant County High School boys’ 4x800 meter relay team realized their dream on June 5. Juniors Brandon Gouge, Dylan Jackson and Michael Schultz, along with sophomore Chris Ellis, raced at the state meet in Louisville, finishing 22nd out of 24 teams. A dedication to getting better helped Grant County junior Katelyn Roy and Williamstown junior Tori Wilhoit earn all-region honors. Roy, who pitched and hit cleanup for the Lady Braves, and Wilhoit, who played shortstop and hit second for the Lady Demons, were both honored to be named to the all-region team for the first time. After a season full of come-from-behind wins, the Grant County softball team hoped they had one more comeback left in them against Shelby County in the 8th region championship. The Lady Braves came up a little short, falling 8-6 on June 3. Williamstown High School sophomore Blake Edmondson and freshman Alex Prokopchak competed at the state track meet in Louisville on June 5. Prokopchak finished 19th out of 21 competitors in the 800-meter dash. Her time was 2:41.76. Edmondson finished 18th out of 23 competitors in the long jump. His distance was 17-04.75. 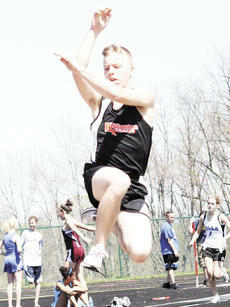 The two were the only athletes to make it to the state meet in the first year of Williamstown’s track and field program. What: The Braves fell to Pendleton County on senior night, but had fun doing it as senior Brandon Epperson played seven positions in the field. The Braves have dropped their last seven games, but hoped to recover before playing Walton-Verona in the district tournament on May 25. Results were not available by press time. The results for the first Bass Tournaments of the season have been announced by Ronald Reynolds from Reynolds Boat Dock. The Grant County softball team has been driven since the beginning of the season to get back to the region tournament after missing it the past two seasons. 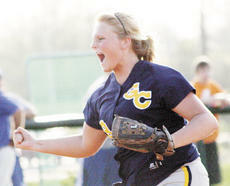 After a win over Williamstown on May 24, the Lady Braves punched their ticket back to the region tournament. Unfortunately, the Lady Braves fell 2-0 to Walton-Verona in the district championship on May 26, their first loss in three meetings this year with the Lady Cats. Despite an improvement from five wins to 14, the Williamstown baseball team wasn’t able to reach a goal they set at the beginning of the season: win a district game. 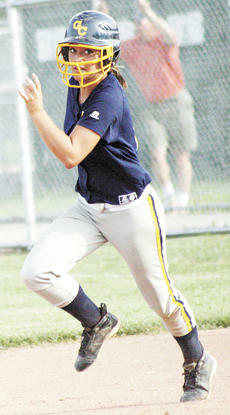 The Demons’ season ended with a 5-0 loss to Simon Kenton in the district tournament on May 24. They’ve known each other since they started running cross country together. The foursome of sophomore Chris Ellis and juniors Brandon Gouge, Dylan Jackson and Michael Schultz know each other so well that they feel comfortable enough to tell each other when they need to step it up. That drive to be their best helped Grant County’s 4x800-meter relay team qualify for the state meet. The team advanced to state with a time of 8:38.38 on May 29. 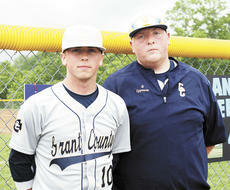 For more information, pick up a copy of this week's Grant County News. After a season of dashes, hurdles, jumps and tosses, the Grant County and Williamstown track and field teams are preparing for the biggest test of their seasons. The teams will compete at the regional meet May 29 at Dixie Heights High School with the chance to participate at the state meet on the line. 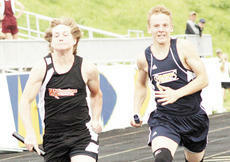 The two teams came into the season with different expectations, but believe they can send athletes to the state meet.